Availabilty in 2019: every Tuesday and Thursday in June, July and August. We may be adding more tours, check the calendar below or contact us with a request for a specific date. Meeting point: Berthold Centre. Address: Grazhdanskaya st., 13-15. Inside the courtyard. 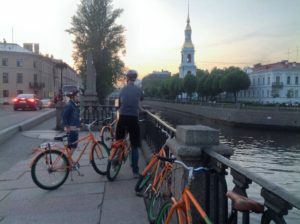 A White Nights version of our famed bike tour! 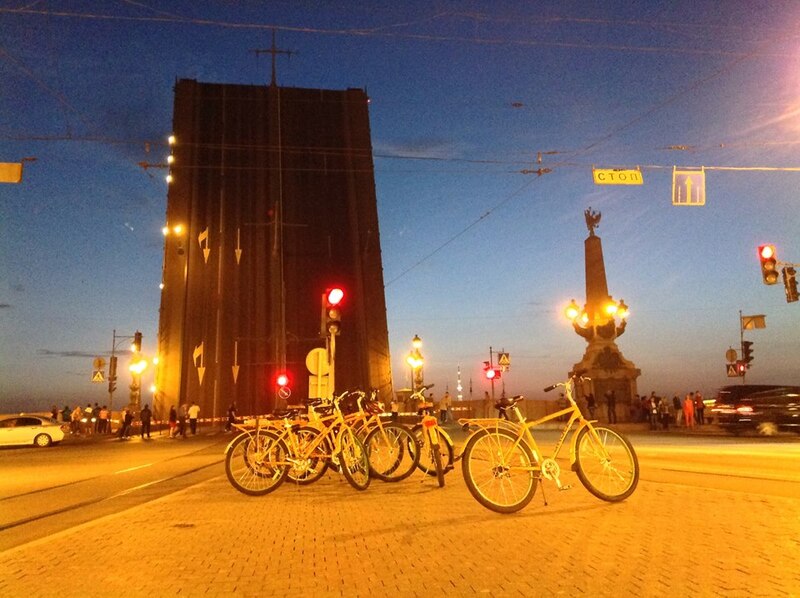 Ride the city through the never-ending sunset. Take in spectacular views and the unique white nights vibe. 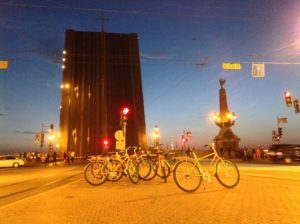 Watch the giant drawbridges across the Neva open in the middle of the night. See the city from a totally different angle – at night, in motion! **Exact route may vary, confirm with the guide please. You may try and turn up without booking, yet we strongly recommend booking online to secure a spot. Large groups should book in advance. To book this tour privately, please write us at info@peterswalk.com, or ask your guide.